AICN COMICS Q&@: Ambush Bug Interviews Patrick Meaney, director of WARREN ELLIS: CAPTURED GHOSTS documentary! 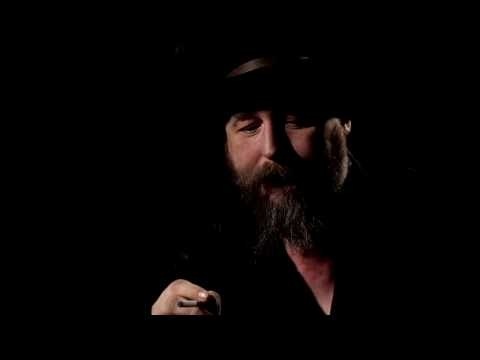 Director of WARREN ELLIS: CAPTURED GHOSTS! Hey folks, Ambush Bug here with another interview from the wide world of comics. I had a chance to see Patrick Meaney’s new documentary WARREN ELLIS: CAPTURED GHOSTS, sponsored by Halo-8 and Sequart Books, while in New York. Below is my review of the film and then I’ll chat with Patrick about the documentary and his doc that premiered last year at NYCC, GRANT MORRISON: TALKING WITH GODS. First check out the preview of the film below, then press on for the interview. Enjoy! BUG: So I’m here with Patrick Meaney and we are here at New York Comic Con and it’s the day after the premiere of WARREN ELLIS: CAPTURED GHOSTS. Can you tell the folks why you decided to make a documentary on Warren Ellis? PATRICK MEANEY (PM): Well we had previously done GRANT MORRISON: TALKING WITH GODS and we were kind of thinking about “Who else in comics has the mystique where you just want to know more about them?” You want to know like “Who is the real…” You want to know “Who is the real Grant Morrison?” I think with Warren he had a similar kind of mystique and legend about him, so he seemed like a great subject to tackle and he’s somebody who is obviously hilarious online and seemed like he would be a fun guy to spend 80 minutes with. BUG: Between the two of them (Grant and Warren), what are the main differences between the two since you spent so much time interviewing both of them? PM: I think the biggest difference is that Grant’s work is a little more based and drawn out of his personal life, so the film about Grant there’s a lot about his weird adventures and his magic and things he did in his life, his travels and things like that. With Warren, he has a little more of a conventional life, like he has a daughter, he doesn’t travel as much, so Warren is a little more idea based, but Grant it’s like he travels all over the place and knows a lot of people, but not as many people seem to know him really well. With Warren, people who know him online know him incredibly deeply and have this huge passion for him. So a lot of the movie became about kind of his nexus and him as like a nexus of a cultural web that includes journalists, artists, scientists, comics people, all kinds of different people. BUG: What was it like or how did you approach him to make this documentary and what was his reaction when you first approached him for it? PM: Let’s bring you in on that one, Mike. MIKE PHILLIPS: Okay, yeah I’m Mike Phillips. I work for Sequart. I emailed him… just a cold call kind of email him out of the blue and he thought it was a joke. He said, “If this isn’t some joke, then you definitely don’t want to interview me. Nobody wants to talk about me” and it was completely self-deprecating. PM: But then I guess eventually he agreed to and we wound up… Basically we booked one of the few smoking rooms in a hotel in London and spent a couple of days with him just you know talking to him for a long time and getting to know him and that was the start of it. BUG: So in those interviews in the film it seemed like he was drinking the entire time. Did the interviews get a little more slushier towards the end of it or was he pretty much the same Warren the entire time? 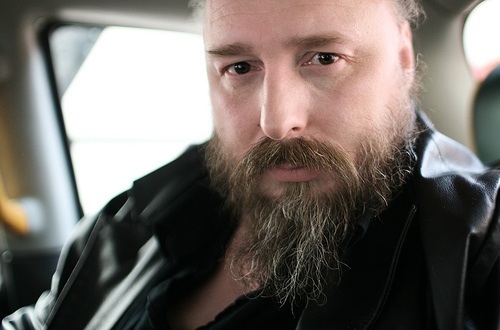 BUG: So after making this documentary about him, who is Warren Ellis to you? BUG: Can you talk a little bit about just the technical aspects of putting together a documentary like this? You said there was like forty hours of footage for this film! BUG: How did you decide who was going to be in the documentary? PM: Well we started out talking to people from comics who he had worked with in comics and then kind of gradually branched out. Some of it was people saying like we would interview somebody and they would be like “You’ve got to talk to this person.” Then you talk to them and I had a dream list of people like Joss Whedon and Helen Mirren where I was like “Well these guys would be great, but I don’t really see this happening” and then through contacting them and getting in touch, it happened. So it was a great… We interviewed a lot of people in Grant movie, but I think we got even more people on this one. BUG: So from the Grant movie to this one, what did you learn as a director? Was that your first film that you did? The Grant Morrison one? PM: It was the first feature, yeah. I think the big thing was kind of a lot more confidence. Like with the Grant film we did some of these reenactments and different weird visual stuff, but I was always like “Got to keep it blurry, I don’t know if this is going to play” just giving it that distance of being like “You can’t tell what’s going on,” so on this one we decided to be a little more ambitious about it and do more like direct recreations of his work sometimes and stuff with like the characters and just be a little more… actually show stuff and not put it all out of focus. BUG: So do you want to make more of these? What are your future plans? PM: Yes, we have a couple of projects in the works which can’t quite be announced yet, but will hopefully be announced at the end of the year, which you know I’m pretty excited about. It’s really fun to do, because it’s basically getting to interview people who’s work I love and really respect and then getting to tell their story in their style. So with Warren Ellis the idea was to approach it and make it feel like a Warren Ellis comic, you know make it look like a Warren Ellis comic, sound like what you would imagine a Warren Ellis comic would sound like and all of that. It’s a lot of fun and kind of a good challenge and I’m also trying to work on some more original narrative stuff, so it’s not only… Comic book documentaries are not my sole passion as a creator. BUG: Yeah. What’s your background in? Where did you start dreaming about being a filmmaker? PM: I mean I was always interested in films and Jordon Rennert who is the producer/director of photography of the movie and I used to make stuff when we were kids in like middle school and high school, then I went to school for film studies at Wesleyan and after that I kind of… I was always making my own stuff and was working at like a post house and I wound up getting laid off from that and being like “All right, I’ve got to go for it now.” So a couple months after that we got the go from Grant to do GRANT MORRISON: TALKING WITH GODS and have just gone off from there. BUG: Very cool. Well you’ve got two in a row that are really great. Is there anything else you want to say to Ain’t It Cool News? PM: I’d just say WARREN ELLIS: CAPTURED GHOSTS is going to be premiering next month at the Napa Valley Film Festival and then it’s going to be screening all over the world hopefully. We’ve got screenings scheduled in LA, St. Louis, Las Vegas, we are just trying to reach out and get it all over the place. BUG: And then is it going to be available on DVD sometime soon? PM: It will be on DVD in February and GRANT MORRISON: TALKING WITH GODS special edition version will be on DVD in January. If you already own the DVD, you can buy the disk individually, the bonus disk. It’s got four hours of content from Grant and some of the other people and if you are a Grant fan, this is some awesome stuff. I just enjoyed listening to it. BUG: Very cool, well thanks for taking the time to talk with me today. BUG: Look for WARREN ELLIS: CAPTURED GHOSTS available in February and playing select theaters. Check out the website to see if and when the film is coming your way! Ambush Bug is Mark L. Miller, original @$$Hole / wordslinger / reviewer / co-editor of AICN Comics for over nine years. Mark is also a regular writer for FAMOUS MONSTERS OF FILMLAND and will be releasing FAMOUS MONSTERS first ever comic book miniseries LUNA in November (co-written by Martin Fisher with art by Tim Rees) You can pre-order it here! Support a Bug by checking out his comics (click on the covers to purchase)!